A master bedroom should feel like a private oasis. We loved the windows and the light that was coming into the room. To maximize the look of the space, we added large mirrored closet doors. We love how bright, big and comfortable the space feels! A sparkly light fixture is always a loved statement piece in a bedroom! 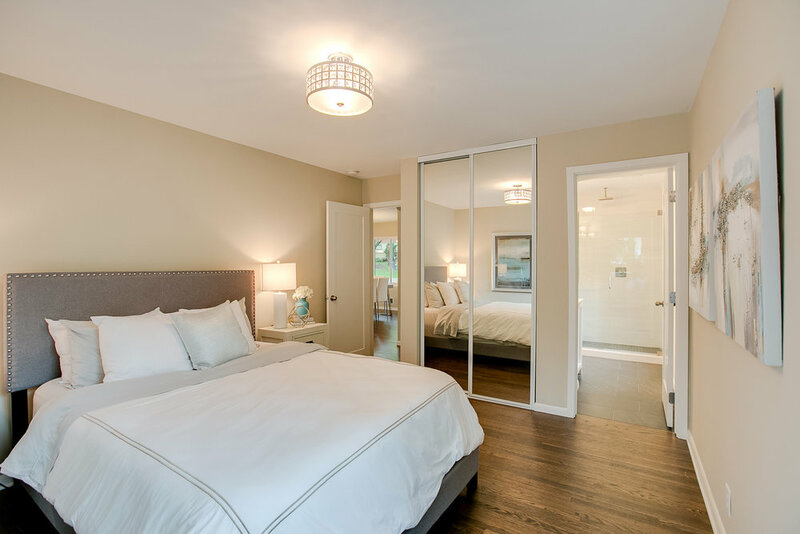 8' mirrored closet doors were exactly what this room needed to look bright and open!